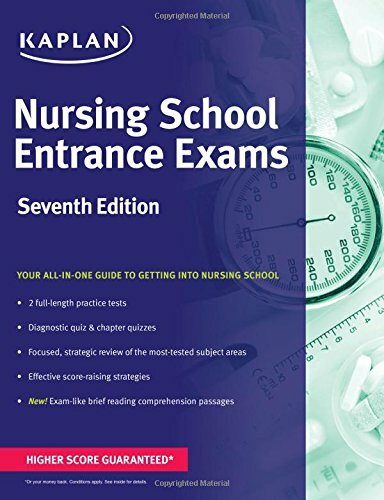 1506207448 -Kaplan’s Nursing School Entrance Exams provides a general review of a wide range of tested material on major nursing school entrance assessments, including the TEAS, HESI, PAX-RN, Kaplan, and PSB-RN exams. With test-taking strategies and practice on math, reading comprehension, and science, this guide provides an effective overview of the first test in your nursing career. Proven methods coupled with our quick-reference resources, which flag common mistakes to avoid and important formulas to remember, guarantee that you will score higher.